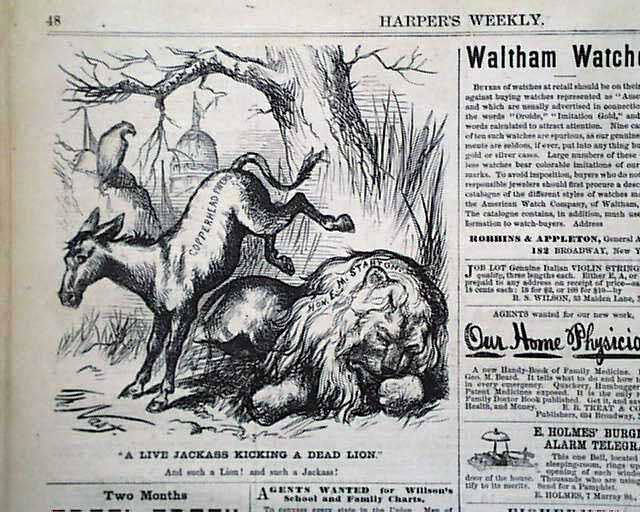 HARPER'S WEEKLY, New York, Jan. 15, 1870 Certainly the most historic or noteworthy print in this issue is the somewhat nondescript political cartoon by famed artist Thomas Nast on the back page titled: "A Live Jackass Kicking a Dead Lion". 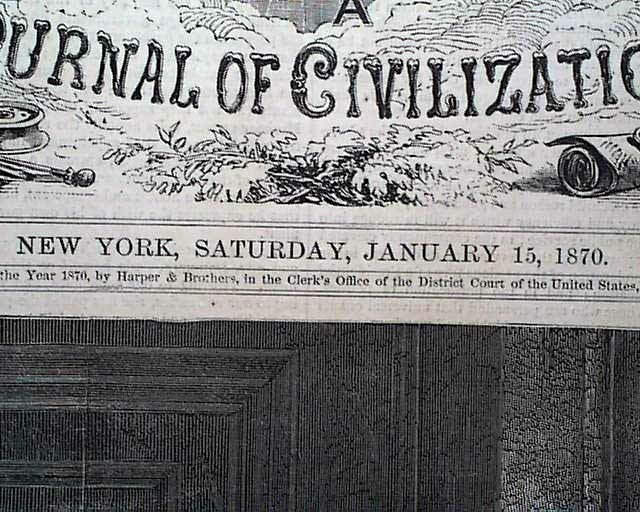 Its significance is that this is the very first appearance of the Democratic Donkey, which has remained the image of the Democratic party to this day. 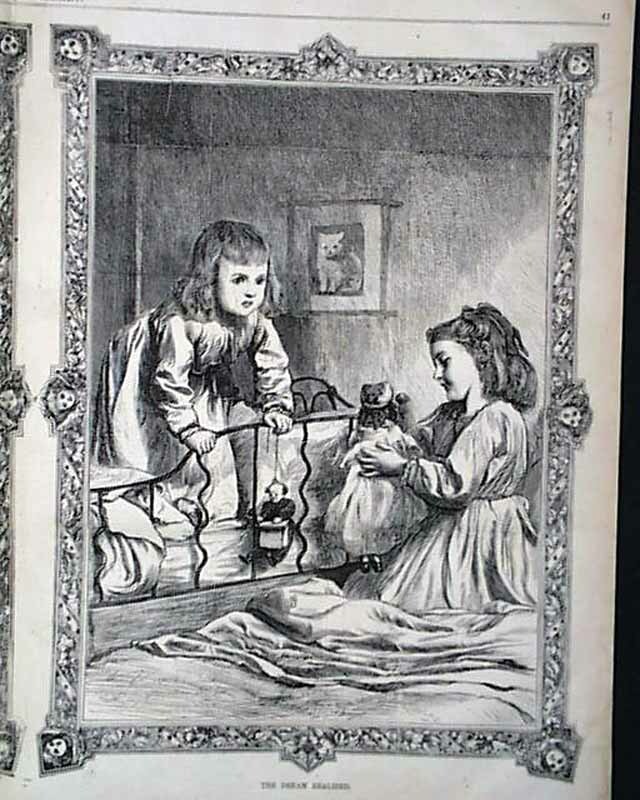 Thomas Nast is credited with creating both the Democratic donkey and the Republican elephant, as well as the modern version of Santa Claus. 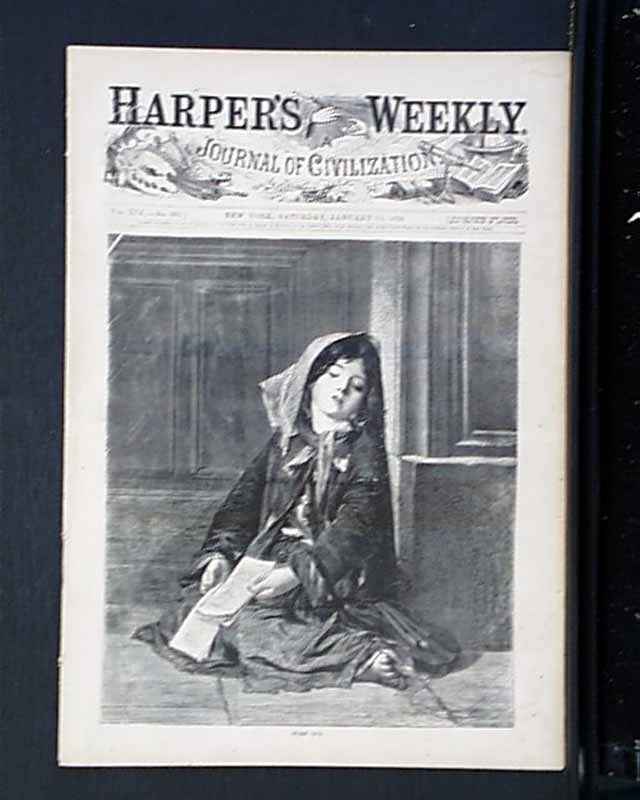 Also within this issue is a full front page print: "Worn Out" showing a young girl; a halfpg. 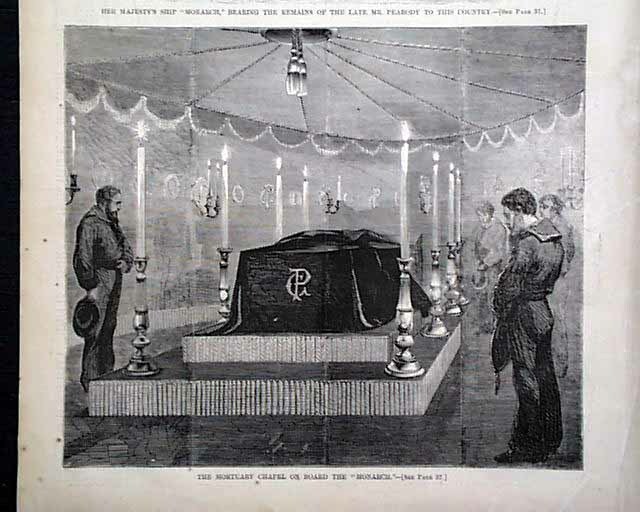 print: "The Mortuary Chapel on Board the 'Monarch' " with the coffin of George Peabody; a nearly halfpg. 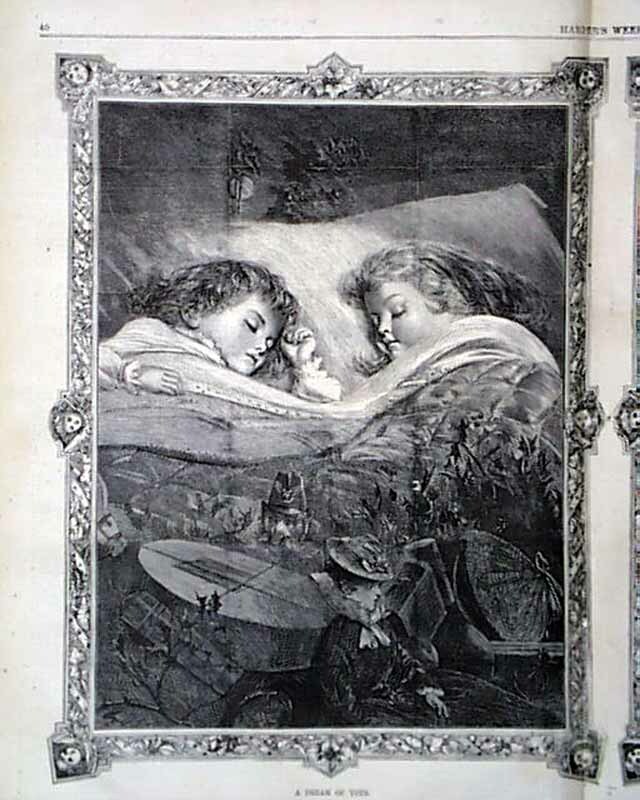 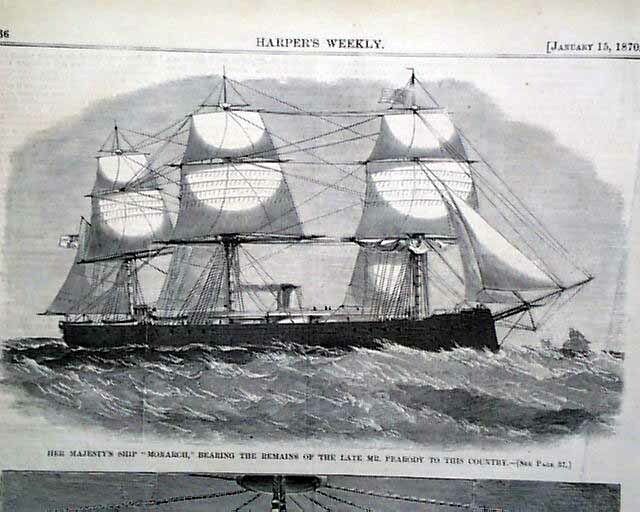 print of the ship 'Monarch'; a doublepage centerfold with 2 prints: "A Dream Of Toys" and "The Dream Realized". 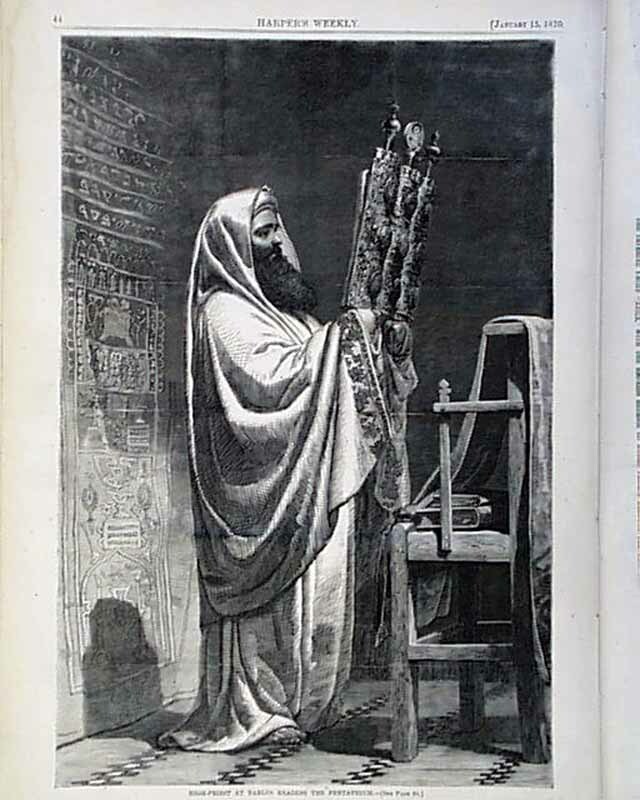 Also of some significance is the nice full page print captioned: "High Priest at Nablus Reading the Pentateuch" which shows a rabbi (see). 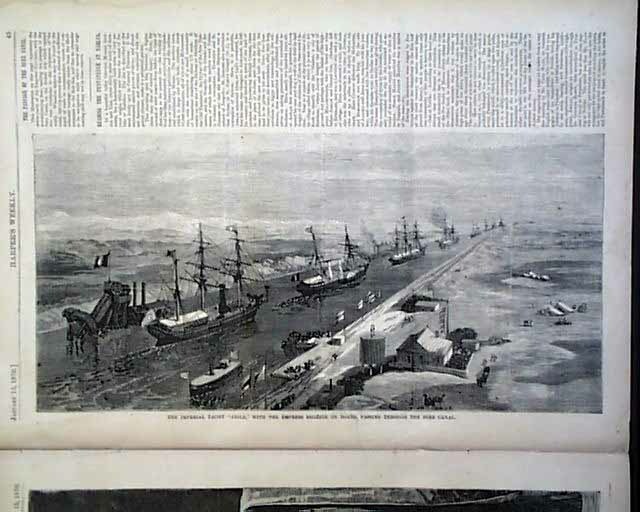 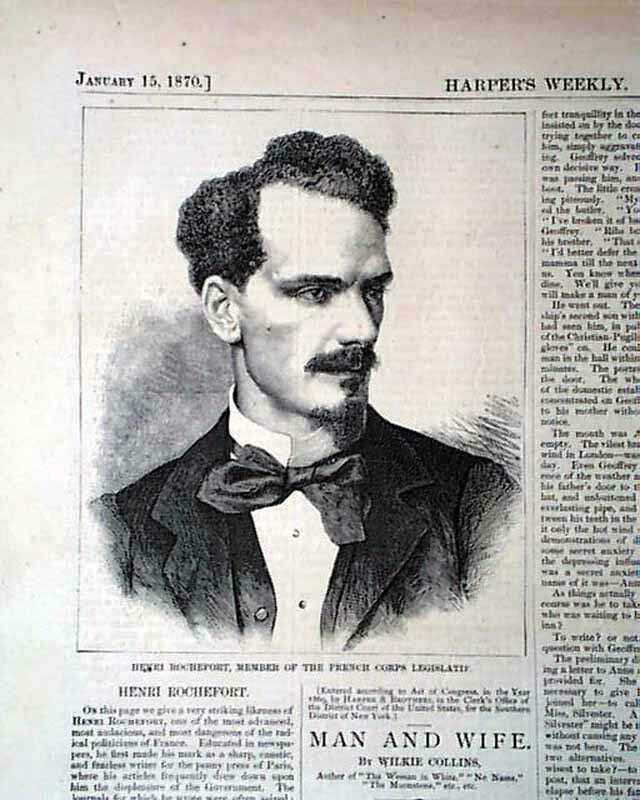 There is a related article on the facing page.